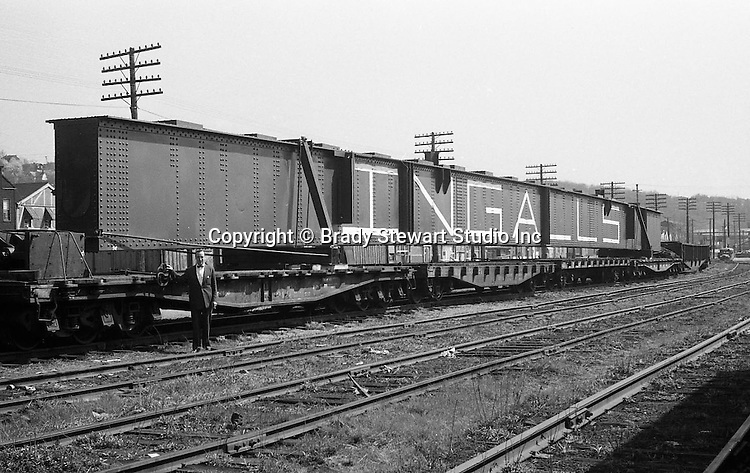 View of an Ingalls Steel girder being transported by the Pennsylvania Railroad at the Oakmont Station. The structual beam was fabricated the Ingalls Iron Works for use in highway construction. Brady Stewart Sr. always recommended using people in location photography assignments like this one to give a sense of relative size.